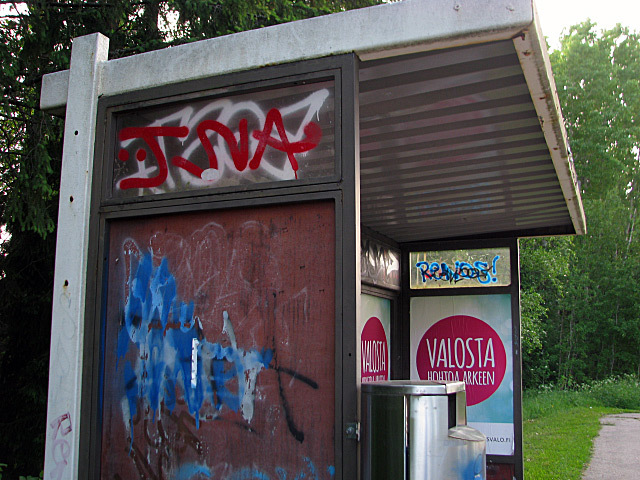 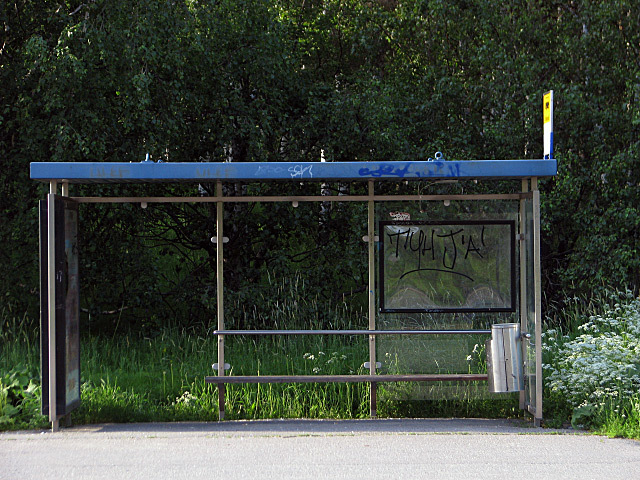 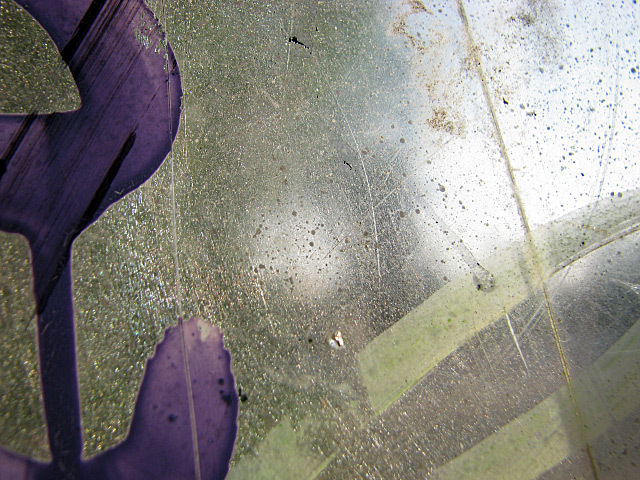 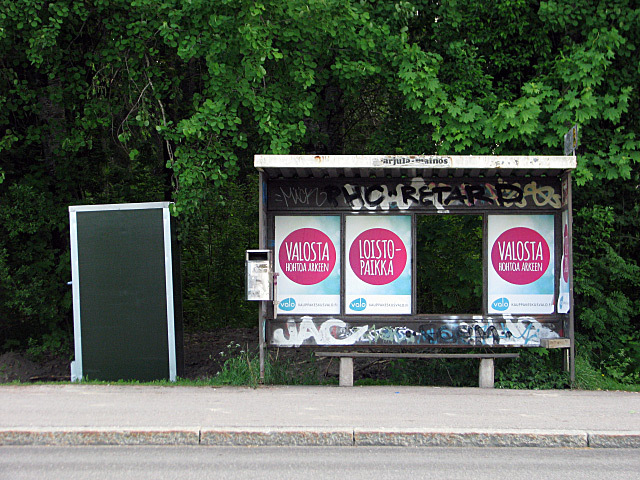 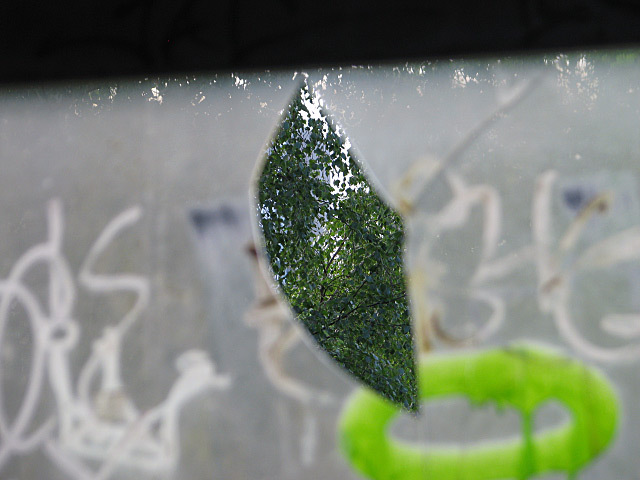 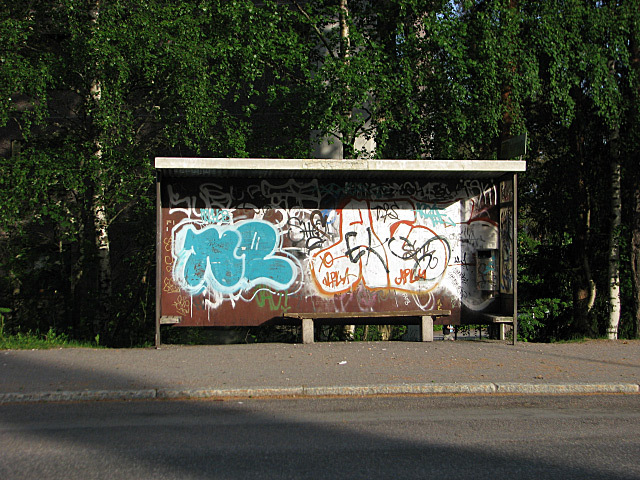 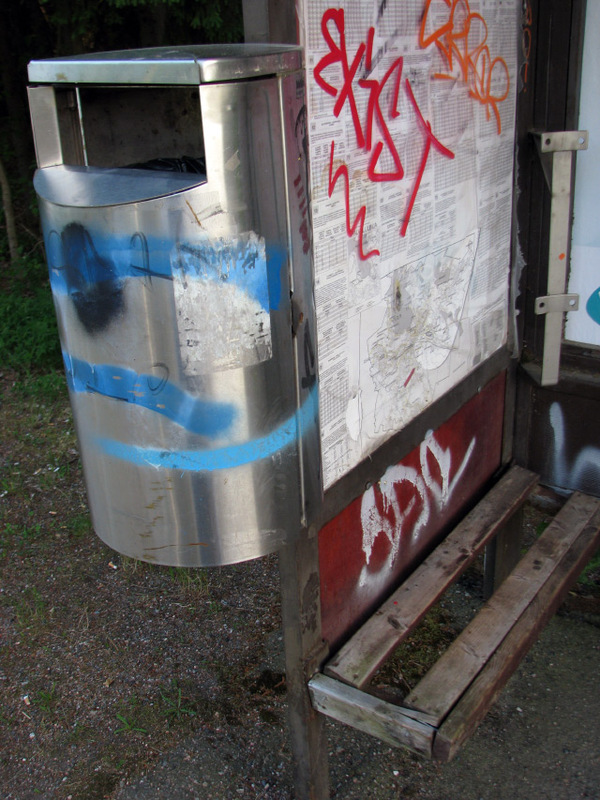 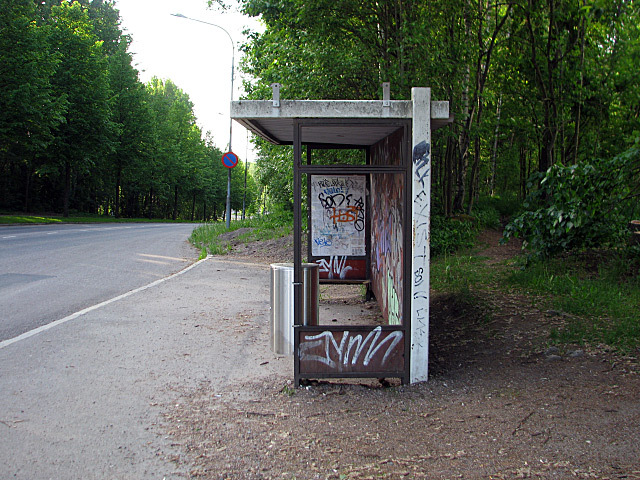 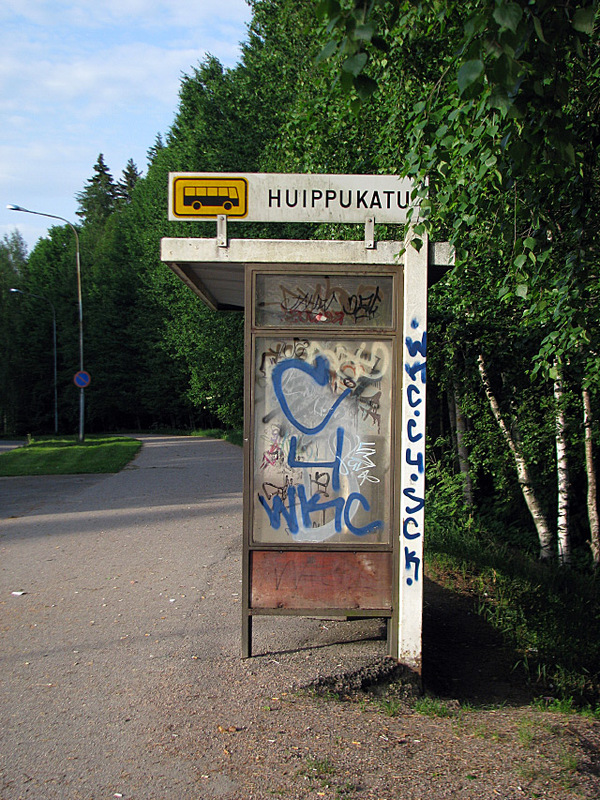 I went to photograph the bus stops in Liipola. 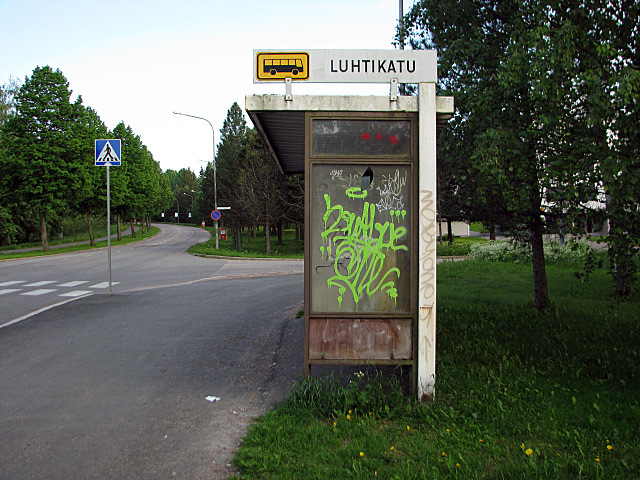 Liipola is a southern part of the city of Lahti in Finland. 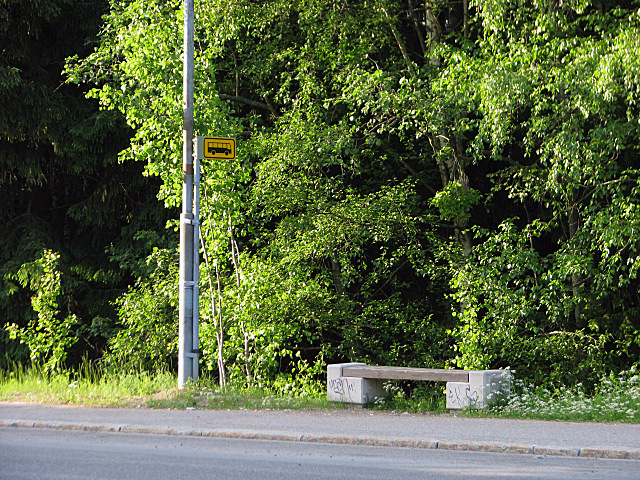 It has a population of about 4500. 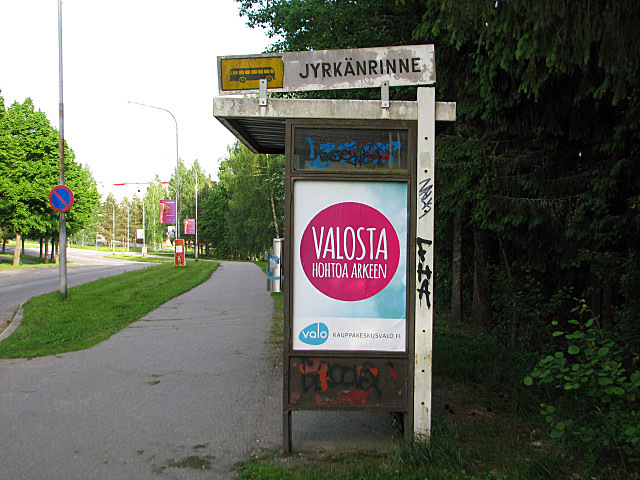 In 2008 Liipola was chosen as The Village of the Year in Päijät-Häme. 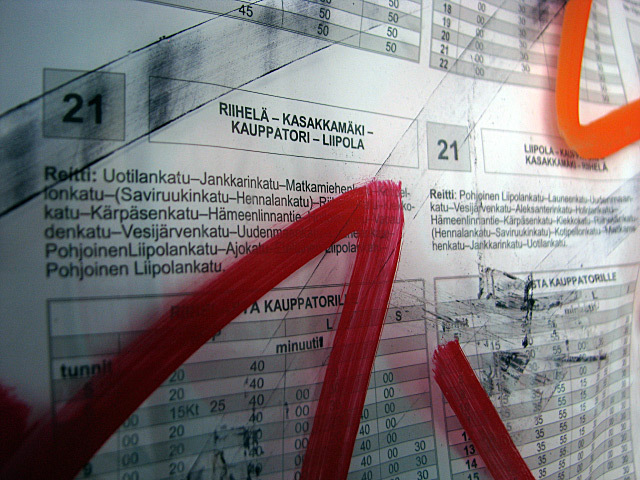 The list published in June 2013 by Ilta-Sanomat shows that Liipola has clearly the highest unemployment rate in Finland, 28,6%. 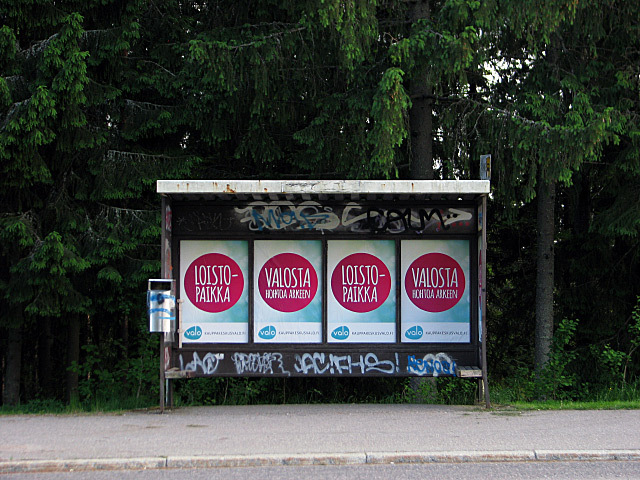 According to Etelä-Suomen Sanomat (article in Finnish) the Liipola region’s unemployment rate was more than 30 percent in the year 2010. 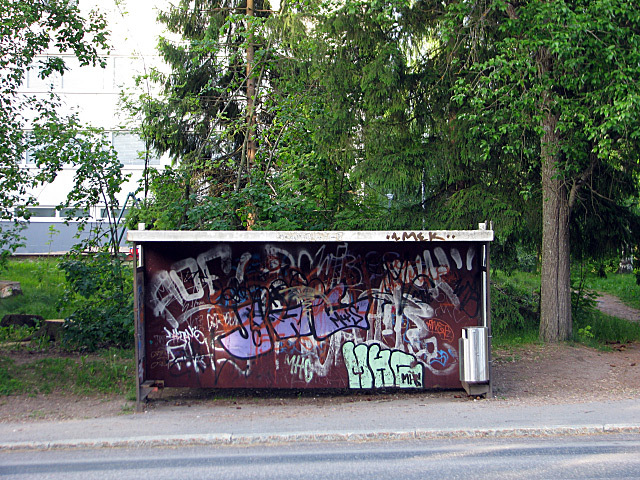 The Ministry of the Environment published a research in 2012 which said that residents’ faith in Liipola’s future has somewhat faded. 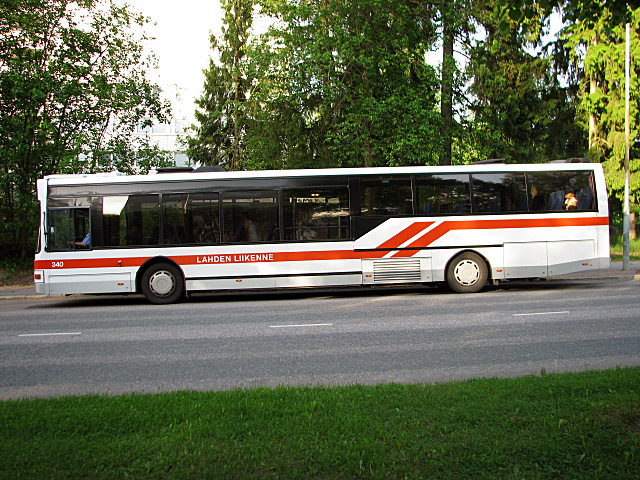 Bus lines 21 and 30 rotate counterclockwise the loop of Liipola. 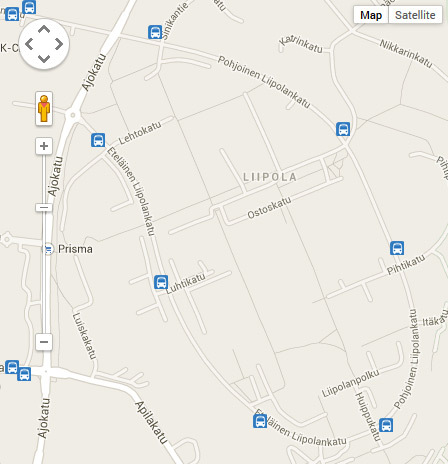 Google Maps of the area. 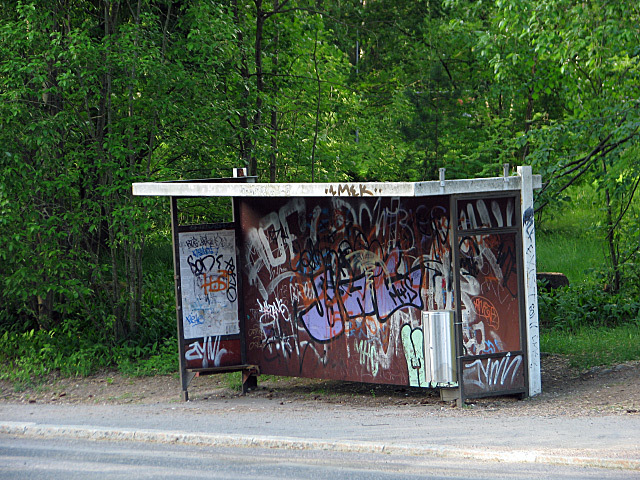 Sinikantie. 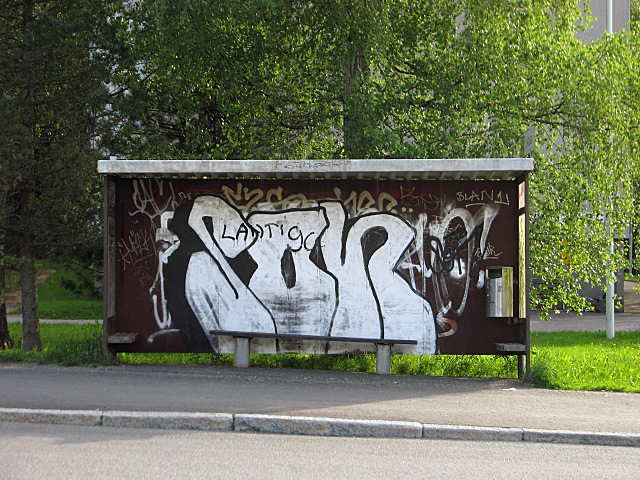 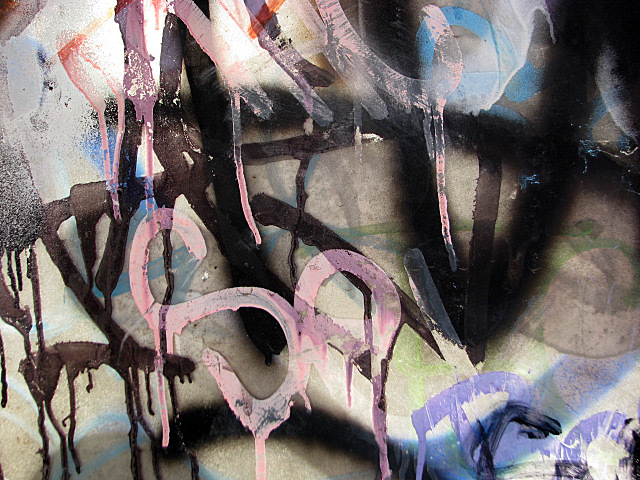 The black text says “Empty!”.